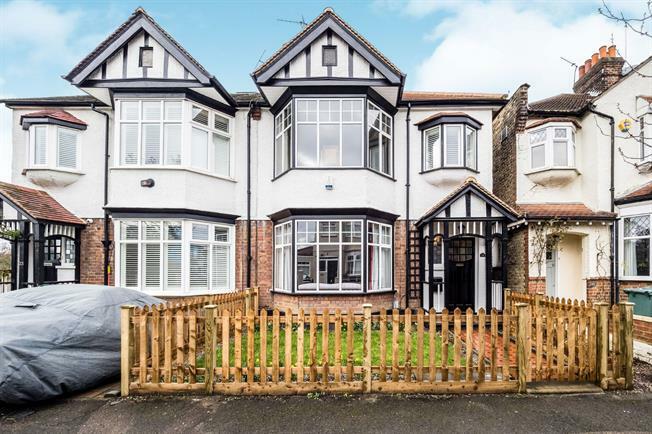 3 Bedroom Semi Detached House For Sale in Woodford Green for Asking Price £650,000. We are pleased to offer for sale this attractive three bedroom semi-detached house located in a quiet cul de sac Woodford Green. This charming property has plenty of character throughout. There are two spacious reception rooms and a kitchen diner to the ground floor. The property has a ground floor cloakroom. On the first floor there are three bedrooms and a family bathroom. There is a balcony from the second bedroom which gives unspoilt views over the forest. The property has beautifully maintained front and rear gardens. The added benefit is that this property will be offered on a chain free basis.